Having just celebrated the entrance of God into the world at Christmas, can we return back to our normal routine of life and our typical schedule? If we have sincerely experienced Christ’s birth, and invited Him to be born anew in our hearts and lives, no one can enter the new year the same! We should be changed people! Or at least be people who are in the process of change! Encountering Jesus, and allowing Him to be born anew in our lives should transform our motives, our values, our attitudes, and our entire worldview! Truly meeting Christ means we can’t stay the same because we discover a new potential, our divine calling and destiny. 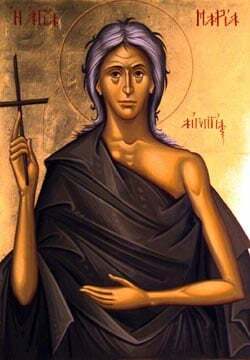 Remember St. Athanasios’ words that “God became man so that we could become divine.” Any life that is centered on self, on all that is temporal and superficial, on material things over spiritual things, concentrated on power and fame, and basically a life without eternal meaning should no longer be satisfying. In Bethlehem, and then in Nazareth and Galilee, and eventually in Jerusalem and Golgatha, we discover a new and better way to live, a new path to walk, a life with eternal meaning and significance, a life of sacrificial and divine love. As we end 2017, and prepare to enter into 2018, we should turn our attention to CHANGE, to TRANSFORMATION, to NEW LIFE. Here lies a vision that can guide and direct us throughout the New Year. Many people, at this time of year, think of resolutions to better their lives – whether a resolution for weight loss, or to be more responsible with one’s money and pay off some debts, or to exercise more, or read more, or spend more time with our loved ones, or whatever else it may be, the purpose of resolutions basically is to improve one’s life. And yet, maybe our resolutions seek to change too little; maybe our vision is too small! If we truly want to better our lives, than we have to first discover what the main purpose in our life is. Why were we created? What is our purpose in this brief sojourn on earth? What does God expect from us? Wouldn’t our Creator know what’s best for us? And if so, then are we seeking to discover the abundant life that God desires for each one of us?!? What is our vision for the New Year? Whenever someone begins a journey, he or she needs to know what their destination is. For if we have no clear destination, than we can go and go and go, but never get anywhere new! Even worse, we can go around in circles and end up in places we had no intention to visit. Our goal as Christians in 2018 should be to develop a more intimate, authentic, life-changing relationship with God. And through this renewed relationship with God, we will hopefully discover beautiful relationships with other, including our neighbor and our enemies. Christian progress depends upon how we show our love for God by showing concrete love to the other, especially to the less fortunate. Although success for many in the world is determined by more money, pleasure, entertainment, and enjoyment of life, success for the saints of God always implied faithfulness to God’s commandments, especially His first and greatest commandment - to love God and to love the other. If we make this our central New Year’s resolutions, then we will journey on an exciting path of change, of transformation! Yet, HOW we can reach this goal? Well, here are four suggestions. First, we must strive to connect and communicate with God on a daily basis. This implies setting aside time each day to talk with Him and to listen to Him - through disciplined prayer, reading of Holy Scriptures, and simply dwelling in His presence. Second, we must try to apply in our lives what God commands. This is not what we always want to do. It’s not always convenient. Many times, in fact, God calls us to follow the difficult path of loving and serving and forgiving those who are difficult to love and serve and forgive. Yet, we don’t follow this path because it’s easy, or because we always want to do it. We follow this path because our love for God compels us to imitate Him. Remember, we can only come as close to God as we are to our worst enemy. And love and mercy and grace is the central way we can draw closer to God. Third, we must learn to share our faith with others, and become good witnesses of God to the world around us. Our faith is not a private affair, but something we are called to offer the world around us. Jesus calls us the light of the world. He commands us to be the salt that flavors the society we live in. Never consider your faith a private affair, but learn to share what you believe and who you with your words, but more importantly with your actions. Finally, we can do all this only when we journey together, in fellowship with one another. There is no such thing as an individual Christian. We are the Church, the Body of Christ, a community of believers walking together on the same path with the same destination. Let us choose to make this journey with one another. In fact, an important part of this journey together is not only the help that we will offer one another, but the accountability we will hold one another up to. If you want to be serious about this commitment to develop a more intimate, authentic, life-changing relationship with God, then we need to find someone in our Church family who will hold up accountable to the goals we set, to the plans we make. You can come to me, the priest, and we can talk together about your spiritual goals. And I will try to hold you accountable if you come to me regularly. You can also try to share your goals with someone else in this church family, and meet with them regularly, asking them to hold you accountable. By sharing your goals with another, and then meeting with them regularly, you will discover God’s Spirit working within you, and you will begin to see change and transformation occur in your life! It is through these disciplines that we can experience a new and better way to live, a new path to walk, a life with eternal meaning and significance. 4. Walk this path together with someone else within our Church Family, finding someone who will help keep you accountable to your spiritual goals. I wish you all a most blessed and fruitful New Year, filled with our Lord’s abundant love and peace.